Another month, another theme. 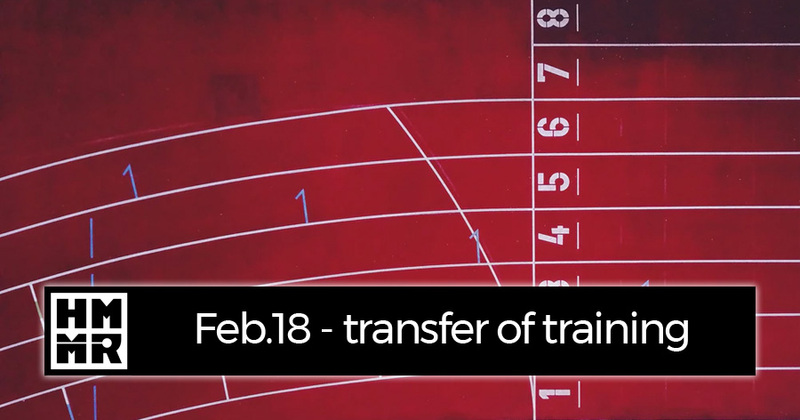 In February we gathered some different perspectives on transfer of training from elite coaches. We discussed how some commonly held ideas may not hold up, how coaches have found unique solutions to transfer, and what processes coaches use to refine training and identify transfer. Links to all of our resources from February are below, as well as some additional articles from our archives. When reading through all the content again, three main points on transfer emerged. When we discuss transfer, most conversations start with a lot of assumptions. We assume strength will improver performance. We assume speed transfers from one pursuit to another. We assume that what transfers for one athlete will transfer for their teammate. But, unfortunately, transfer is more complex than that. One example I used to start out the month was from American football and how new data shows that those who can run in a straight line the fastest on the field rarely are those who performed the best in sprint testing. Speed is more complex than that. All of training is more complex than that. So as a first step we need to put our assumptions and biases aside before we approach the topic of transfer. Transfer is incredibly complex, but the process to search for it is pretty straightforward. Just look at two examples of processes we shared this month from John Pryor and Anatoliy Bondarchuk. Pryor starts with thinking through the problem, develops an idea to try out, then looks at the feedback. That’s pretty simple, but as his results have shown it is also effective. Bondarchuk starts his process with a much more thorough data analysis, but that is just the starting point. He then tries out an idea, minimizes the variables, and monitors the training results to see what works. Again, that isn’t rocket science, but by looking at their examples we can get some ideas on how we can optimize training to better find transfer. Bondarchuk, for example, tries to minimize variables in training to make the feedback more valuable. Pryor often includes subjective feedback, which is easier to implement (and research has shown can be just as accurate in many situations). It’s here where transfer lines up with last month’s theme of testing. Testing and transfer are separate ideas, but you cannot have one without the other. As Mike Bahn and Nick Lumley pointed out, testing should be at the center of any search for transfer and they both provided some great examples of how that looks in practice. 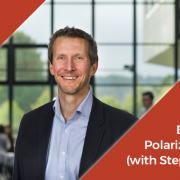 GAINcast 104: Polarized training (with Stephen Seiler) – A look at how middle intensities just don’t transfer as well for endurance athletes. Talking transfer with Kabuki Strength – Martin discusses transfer of training as a guest on the Strength Chat podcast. 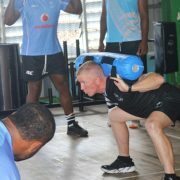 Searching for Transfer in Fiji by Martin Bingisser – A look at rugby coach John Pryor’s process for making training better. Bondarchuk’s latest thoughts on transfer by Martin Bingisser – The leading thinker on transfer shares his latest thoughts. Does off-field speed transfer to on-field speed? by Martin Bingisser – How well does linear speed transfer? Correlations don’t prove causation, but we can still learn from them by Martin Bingisser – The role of correlations in finding transfer. Correlations, causations, and multi-sport athletes by Craig Pickering – A case study in the limitations of correlations. Improving transfer through better testing by Nick Lumley – how making testing better can improve transfer. It starts and ends with testing by Mike Bahn – You can’t talk about transfer without talking about testing and monitoring. 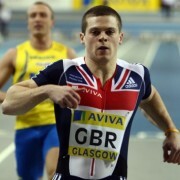 Transfer and sprinting by Craig Pickering – Thoughts on what transfers to speed. Reverse transfer of training by Martin Bingisser – If A helps B, will B help A? Specific tips for specific training and The role of specific strength exercises in team sports by Martin Bingisser – how specific exercises can help performance and how that looks in team sports. The detective coach and Basic principles of data collection by Martin Bingisser – a look at how data can help find transfer. 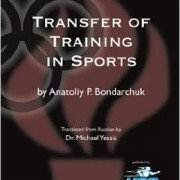 The holistic Bondarchuk by Martin Bingisser – Transfer comes from everything, not one thing.